14 to 18 ton Road tow Horizontal Splitter, folding log deck, petrol motor, variable stroke, auto return ram, with 2 speed hydraulic pump. High speed sprung road axle. 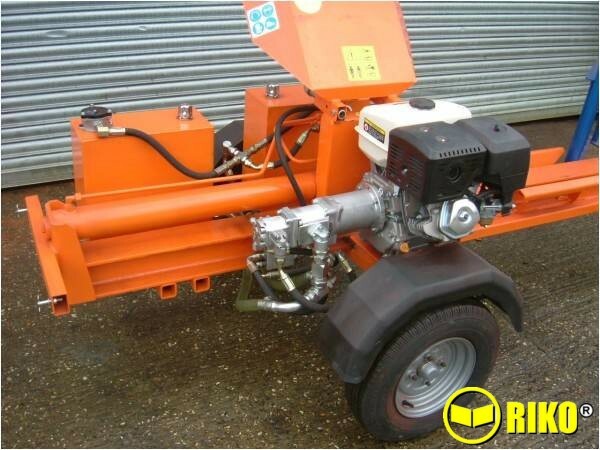 Road tow Horizontal splitter, folding log deck, petrol motor, variable stroke, auto return ram, with 2 speed hydraulic pump. High speed sprung road axle. Adjustable stroke and automatic return. 14 / 18 ton splitting force with automatic 2 speed on 18 ton. Log length capacity of 65cm or 110cm. IVA compliant for high speed road transportation. Petrol engine from 9 / 13hp with high speed dual hydraulic pump and large oil tanks for maximum cooling and long work period. Folding Log deck. Allows debris to fall through for cleaner logs. 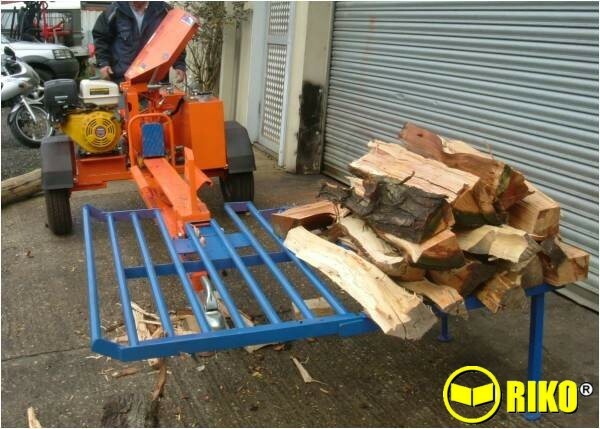 Prevents logs falling on the ground so it is easy to feed Billets / logs through again. Optional drop on 4 way knife.